Indications and Usage:Tamoxifen Citrate Tablets (TCT) is a competitive estrogen antagonist and a nonsteroidal anti-estrogen drug. It is commonly used clinically to treat all forms of breast cancer, and it is especially suitable for postmenopausal female breast cancer patients who are estrogen receptor and progesterone receptor positive and have relatively low levels of prostrate specific antigens. Tamoxifen citrate has anti-tumor and anti-drug resistance effects, and it can be used for heart protection and treating advanced recurrent breast cancer and ovarian cancer. Mechanism of action:Tamoxifen citrate has cis-trans isomers, with its cis isomers having extremely weak estrogen activity, and its trans isomers having anti-estrogen effects. When tamoxifen citrate is first being used or at a low concentration, it binds with breast cancer cells’ estrogen receptors (ER) in the cytoplasm, thus having a weak estrogen activity. After tamoxifen citrate enters the nucleus, it inhibits the transcription and synthesis of breast cancer cell ER in the nucleus, which achieves a lasting anti-estrogen effect. This inhibits estrogen’s effects on cancer cells, which obstructs cancer cell growth and maturation, thus having an anti-tumor effect. Studies have found that tamoxifen citrate’s many new functions are related to a mechanism separate from its competitive estrogen receptor - its membrane regulating mechanism. As a membrane regulator, tamoxifen citrate can decrease cell circulation, and it an also act as an antioxidant to product the cell membrane and prevent low density lipoproteins from being damaged by oxidation. Tamoxifen citrate lowers membrane fluidity and strengthens intercellular binding sites to lower the concentration and activity of cancer metastasis promoters and active enzymes, thus inhibiting or preventing cancer cell growth and metastasis. Additionally, it promotes cells surrounding tumor lesions to secrete negative growth factors (transforming growth factor (TGF-G)) to control the spread of cancer cells. It can also inhibit the hydrogen peroxide produced by human neutral white blood cells from oxidizing and damaging DNA bases, thus aiding in the treatment and prevention of all kinds of malignant tumors, and it has been tested for treating brain cancer, liver cancer, prostate cancer, etc. By lowering membrane fluidity, tamoxifen citrate can also lower the release effect of P170 glycoproteins on the cell membrane and increase the effective concentration of cytotoxic drugs in cells and lower drug resistance. Pharmacodynamics:Tamoxifen citrate tablets are taken orally and absorbed slowly, taking about 3-6 hours to reach peak blood concentration. After absorption, tamoxifen citrate tablets’ liver metabolite is N- desmethyl tamoxifen, which has similar activity to tamoxifen citrate. The drug’s clearing half-life is 5-7 days and its metabolite N-desmethyl tamoxifen’s half-life is 7-14 days. Animal trials show that tamoxifen citrate and N-desmethyl tamoxifen are widely circulated in the intestines and liver. For a single 20mg dose of tamoxifen citrate, its peak blood values are 40ng/ml (range: 67-183ng/ml) and 336ng/ml (range: 148-654ng/ml). Tamoxifan citrate reaches a stable blood concentration after consistent use for 3-4 weeks, while N-desmethyl tamoxifen requires 3-8 weeks. Tamoxifen citrate and its metabolites are mainly excreted in feces, and a small amount of metabolites is excreted in urine. Side Effects:Common adverse effects include nausea, vomiting, facial flushing, and other mild symptoms. Biological Activity:Estrogen receptor antagonist/partial agonist. Selective and potent inhibitor of mammalian sterol isomerase. Neuroprotective in female rats in vivo . Also high affinity agonist at the membrane estrogen receptor GPR30. 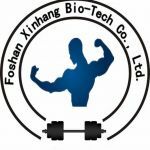 Tamoxifen citrate China Steroid Raws/ Sarms/ Peptides sell on line. If you want to know more details, please ontact me on: Email: ycyy06@yccreate.com Skype: 18042849221 WhatsApp：+8618042849221 Telegram: jasonsteroids keywoeds:Tamoxifen citrate,TCT,tamofen Synonyms:ici46,474;kessar;noltam;tamofen CAS:54965-24-1 MF:C32H37NO8 MW:563.64 EINECS:259-415-2 Melting point:140-144 °C storage temp. :2-8°C solubility methanol:soluble50mg/mL, clear, colorless color:White to off-white Water Solubility:slightly soluble Sensitive:Light Sensitive & Hygroscopic Home >> Anti - Estrogen Powders >> Tamoxifen Citrate Powder Indications and Usage:Tamoxifen Citrate Tablets (TCT) is a competitive estrogen antagonist and a nonsteroidal anti-estrogen drug. It is commonly used clinically to treat all forms of breast cancer, and it is especially suitable for postmenopausal female breast cancer patients who are estrogen receptor and progesterone receptor positive and have relatively low levels of prostrate specific antigens. Tamoxifen citrate has anti-tumor and anti-drug resistance effects, and it can be used for heart protection and treating advanced recurrent breast cancer and ovarian cancer. Mechanism of action:Tamoxifen citrate has cis-trans isomers, with its cis isomers having extremely weak estrogen activity, and its trans isomers having anti-estrogen effects. When tamoxifen citrate is first being used or at a low concentration, it binds with breast cancer cells’ estrogen receptors (ER) in the cytoplasm, thus having a weak estrogen activity. After tamoxifen citrate enters the nucleus, it inhibits the transcription and synthesis of breast cancer cell ER in the nucleus, which achieves a lasting anti-estrogen effect. This inhibits estrogen’s effects on cancer cells, which obstructs cancer cell growth and maturation, thus having an anti-tumor effect. Studies have found that tamoxifen citrate’s many new functions are related to a mechanism separate from its competitive estrogen receptor - its membrane regulating mechanism. As a membrane regulator, tamoxifen citrate can decrease cell circulation, and it an also act as an antioxidant to product the cell membrane and prevent low density lipoproteins from being damaged by oxidation. Tamoxifen citrate lowers membrane fluidity and strengthens intercellular binding sites to lower the concentration and activity of cancer metastasis promoters and active enzymes, thus inhibiting or preventing cancer cell growth and metastasis. Additionally, it promotes cells surrounding tumor lesions to secrete negative growth factors (transforming growth factor (TGF-G)) to control the spread of cancer cells. It can also inhibit the hydrogen peroxide produced by human neutral white blood cells from oxidizing and damaging DNA bases, thus aiding in the treatment and prevention of all kinds of malignant tumors, and it has been tested for treating brain cancer, liver cancer, prostate cancer, etc. By lowering membrane fluidity, tamoxifen citrate can also lower the release effect of P170 glycoproteins on the cell membrane and increase the effective concentration of cytotoxic drugs in cells and lower drug resistance. Pharmacodynamics:Tamoxifen citrate tablets are taken orally and absorbed slowly, taking about 3-6 hours to reach peak blood concentration. After absorption, tamoxifen citrate tablets’ liver metabolite is N- desmethyl tamoxifen, which has similar activity to tamoxifen citrate. The drug’s clearing half-life is 5-7 days and its metabolite N-desmethyl tamoxifen’s half-life is 7-14 days. Animal trials show that tamoxifen citrate and N-desmethyl tamoxifen are widely circulated in the intestines and liver. For a single 20mg dose of tamoxifen citrate, its peak blood values are 40ng/ml (range: 67-183ng/ml) and 336ng/ml (range: 148-654ng/ml). Tamoxifan citrate reaches a stable blood concentration after consistent use for 3-4 weeks, while N-desmethyl tamoxifen requires 3-8 weeks. Tamoxifen citrate and its metabolites are mainly excreted in feces, and a small amount of metabolites is excreted in urine. Side Effects:Common adverse effects include nausea, vomiting, facial flushing, and other mild symptoms. Uses:estrogen antagonist, antineoplastic Uses:anti-estrogen, protein kinase C inhibitor, beneficial cardiovascular effects, bone cancer treatment, induces DNA adduct formation Uses:An antiestrogen with potent anti-cancer and PKC inhibitory activities Biological Activity:Estrogen receptor antagonist/partial agonist. Selective and potent inhibitor of mammalian sterol isomerase. Neuroprotective in female rats in vivo . Also high affinity agonist at the membrane estrogen receptor GPR30.